Daco Solutions is pleased to add Quik Stik – Xygraphix [QSX Labels] of Everett, Massachusetts to their growing list of customers in North America with the recent installation of the Daco 330 Combi Turret Rewinder. QSX Labels, established in 1957, has grown into one of New England’s premier label manufacturers producing a wide range of high quality product labels in their 21,000 square foot facility in Everett, Massachusetts – just a few miles outside of Boston. With the recent additions of an HP WS4600 digital label printer and a Grafisk Maskinfabrik [GM] DC330 finishing device, QSX Labels places a pronounced emphasis on researching and purchasing high quality equipment to run their successful operation. 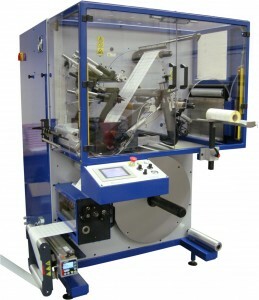 Having looked at a wide range of portable turret rewinders, QSX Labels determined that the inline / offline capability of the Daco Combi 330 gave them the flexibility not easily available with other turret rewinders. “The Daco Combi 330 has run perfectly without interruption since its installation and has proven to be a valuable addition to our operation” claims Robert Karess, President of QSX Labels. “It is incredibly user friendly, has a small foot print, and is far less intimidating than other turret rewinders we considered. We really feel that this machine provides us with measurable value as the Daco was considerably lower in cost than some of its competitors and performs as well if not better than other machines costing much more. Produced in the UK, the Combi 330 is one of the most versatile turret rewinders on the market. Available in both 13” and 16” widths, this advanced turret enables users to quickly change from inline to offline with minimal effort.